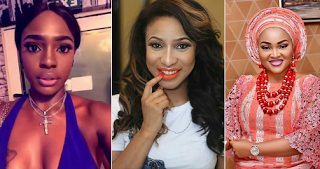 shading Mercy Aigbe, Tonto Dikeh, Kcee and Oge Okoye. things dey claim LUXURY. " 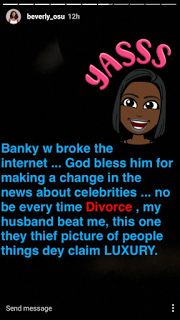 0 Response to "Beverly Osu Shades Tonto Dikeh, Mercy Aigbe, Kcee, Oge Okoye And Heaps Praise On BankyW"